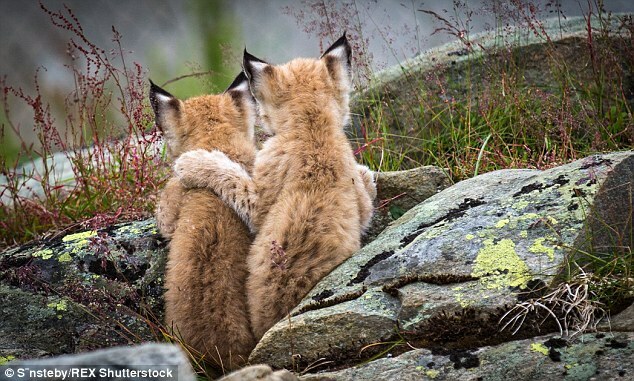 We all like to turn to a brother or sister for a bit of sibling advice sometimes and it seems lynx kittens are no different. 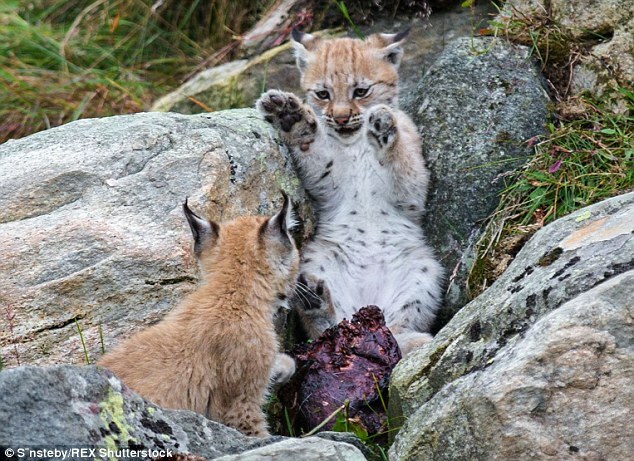 The adorable snap looks like the youngsters are re-enacting a memorable scene in the Lion King where Mufasa shows Simba the Pride Lands he will one day inherit. 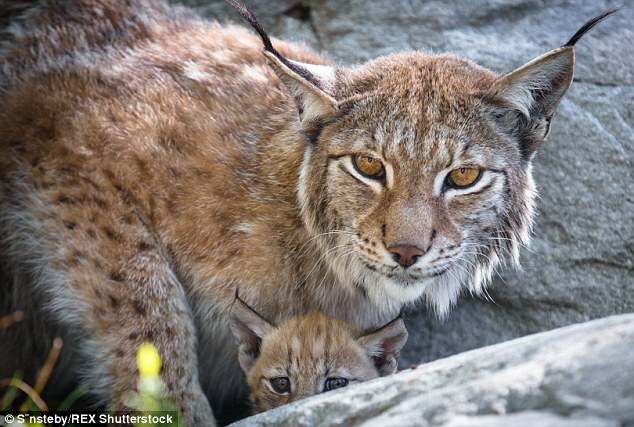 But this was not snapped in the east African lands of Tanzania - rather it was captured at Langedrag Nature Park in Norway. 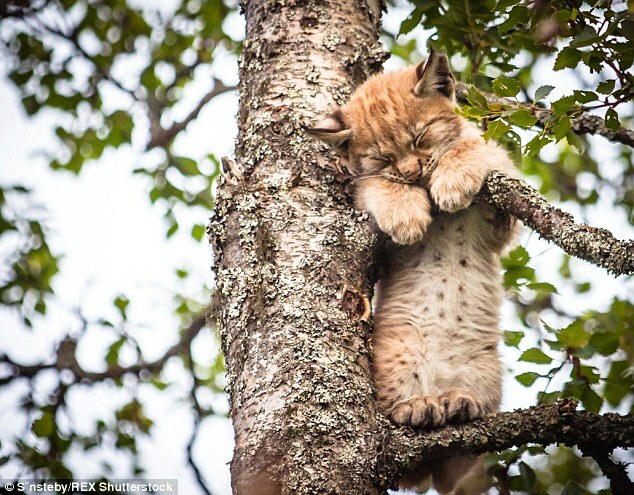 Photographer Cecilie Sonsteby 46, spotted the cute cat as it clung on during its cat nap, doing its best not to drop off a branch.It was taken shortly after one of the cute animals went for 40 winks - up a tree. 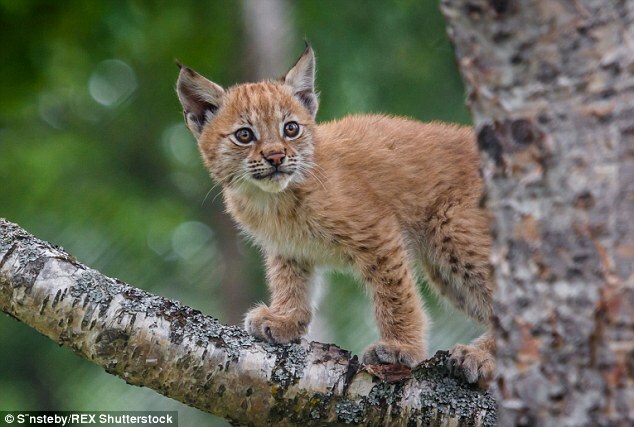 Her pictures show the youngster, thought to be a nine-week-old female, exploring the park from the best vantage point. 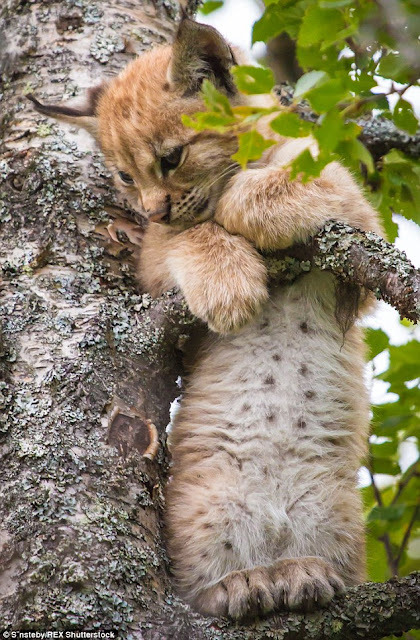 'The cub in the tree was the most adventurous of the siblings and she was up there for much more than an hour,' she said. 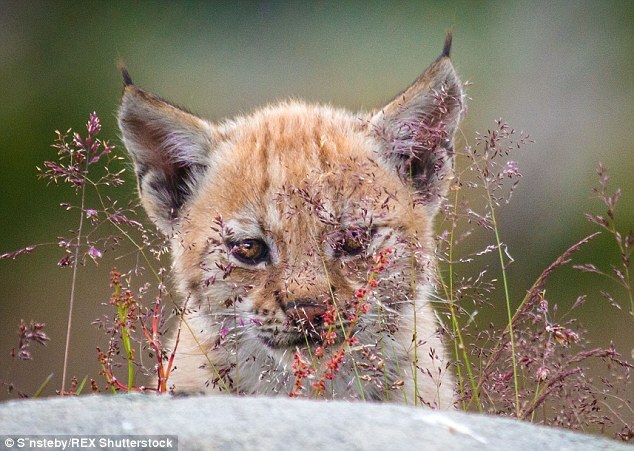 Responses to "Amazingly cute moments captured on camera with lynx kittens in Norway"
These are beautiful photots, and of wilderkitties! Wonderful!